Spacious 3 bedroom, 2 bath, 1 owner waterfront home with an extra buildable lot (also waterfront) located in the sought after boating community of Peace River Shores. Great room with vaulted ceiling, separate dining room, and open kitchen with a breakfast bar. Pocket sliding doors lead to your spacious lanai, with vinyl sliding windows, where you can relax in your hot tub, or you may choose to enjoy the Florida breezes from your fully screened front porch. New laminate flooring in March of this year in all three bedrooms, the dining room and the living room. Extras include a 12x10 workshop with electric, all water equipment, awnings, and a metal roof. Not in a flood zone!! Join the voluntary Homeowners Association for a minimal yearly fee and have access to the community owned boat ramp (located on Jim Long Lake with access to the Peace River, Charlotte Harbor, and then the Gulf of Mexico), the picnic pavilion, or join your neighbors for one of the many social activities held at the community clubhouse. 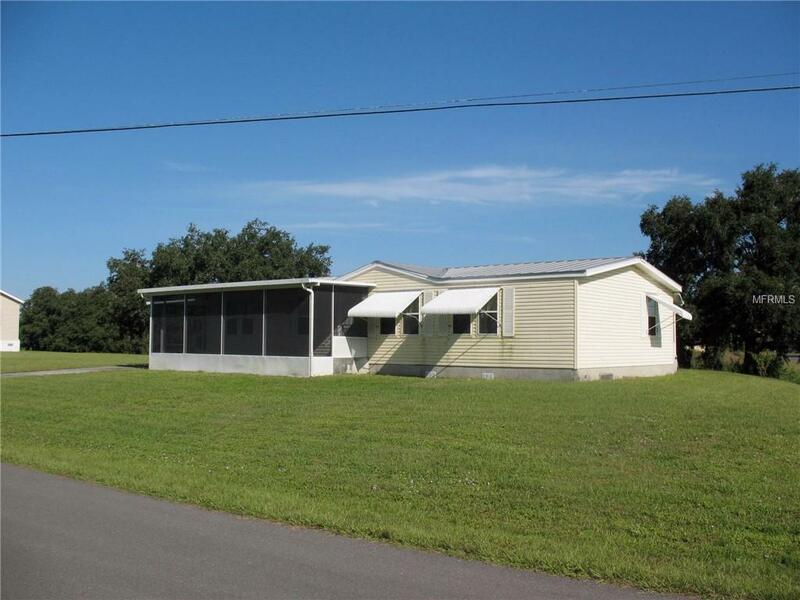 Enjoy quiet, peaceful country living yet quick access to historic Arcadia, Punta Gorda Airport, I-75, shopping, dining, golf courses and great year round fishing!